We are providing wide range of Paper converting Machinery Products as per Production range of the Paper, Our products includes, Head Box, Pressurized Head Box, Wire Part, Forming Equipments, Press Sections, heavy duty Press Section & Heavy Duty Jumbo Press Rolls, M.S. 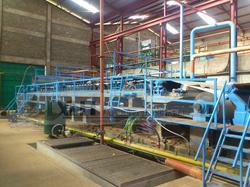 Fabricated & Hydraulically tested Dryer & M.G. 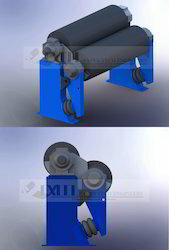 Cylinders, Grey Iron Casted Or M.S fabricated Framing for high speed Dryer Section, Three Roll – two nip Calendar Section, Size Press, Pop Realer with Automatic Spool Loader, Shaft Less High Speed Rewinder etc. As two-roll press with hydraulic/pneumatic loading support, these advanced technology based Size Press choices allow optimum surface sizing so as to achieve desired improvement in quality of produced paper. Further, the system also allows surface treatment by special agents as well as cost effective surface dyeing support that not only provides for special color effects but also help in reducing of waste water pollution. Some of its other features include starch impregnation, pigmenting and pre-coating support, available in different roll diameter and width choices, M.S. 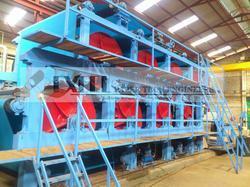 fabricated & stress relived framing support, starch spraying support with stand and operating valve and others. 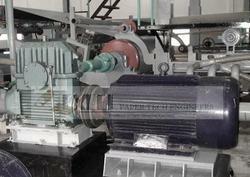 We manufacture excellent quality wire part with high efficiency of Wire Part and plain couch roll. 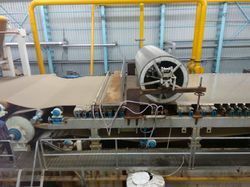 We Offers quality forming equipments made out from S.S. 304, all the Paper Forming Equipment are having T rail to fix the Dewatering Tops, Top will be from UHMWP or Ceramix Mix Polypick. We provide our customers an excellent quality range of Pop Reel that is of the highest quality. These pop reels are based on PLC controls and are easy to use and control. The range of pop reel (online winder) is made using the latest technology and has constant winding nip pressure throughout the pneumatic cylinders. These pop reels are available up to 1200 meter/minute mill speed and are designed for easy attachment of automatic empty spool loading system. Finding use as paper processing machinery, Writing & Printing Paper Making Machine offered is backed by CE, ISO certification and makes use of waste paper, virgin pulp as raw material for making of paper. 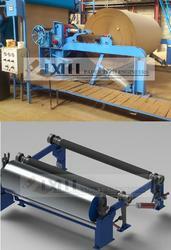 Further, the system can produce printing paper, newsprint paper in different color choices as preferred by the customers. The advanced PLC controls, stainless steel construction of the system and automatic controls also makes the system provide for optimum performance. Dryer section, hood, sizing press, calender, pope reel and AC inverter sectional among others. Improving register performance, decreasing down-time and reducing waste, Sectional Drive options offered comes with heavy duty worm gear boxes/bevel helical gear boxes for delivering consistent performance support. Further, the presence of universal joints from gear box output to roll end also helps in minimizing alignment error possibilities as well as at the same time allow stress free power transmission. Its other operating features include AC/DC variable speed modules with PLC support, single piece base frame for gear box and motor and others. We can also custom develop these drives as per the specific requirements of the customers. 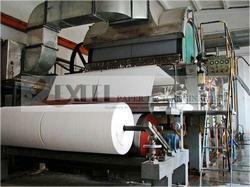 Looking for Paper Mill Machine ?